To celebrate British Science Week the Rainbow Club embarked on what was possible it’s biggest school trip yet. 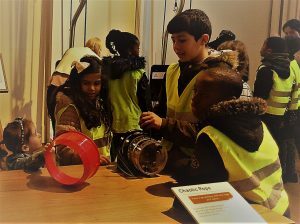 A journey across London for both children and parents to visit the wonders of the Science Museum and experience the mind-bending science available in the WonderLab – a new laboratory exploring science in an amazing hands-on environment. 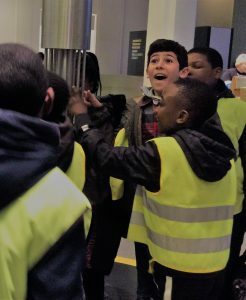 Over 65 students aged from 4 to 11 filed out of St Saviour’s primary school on Saturday morning heading for the science museum. On arrival, they dived straight into the WonderLab. Here they ordered live experiments at the Chemistry Bar, saw lightning strike before their eyes, played with forces on giant slides and travelled through space under a canopy of stars. Along with the three classes (Passion Fruit, Starfruit and Mango) a separate group of 14 parents were given the opportunity to go to the museum. 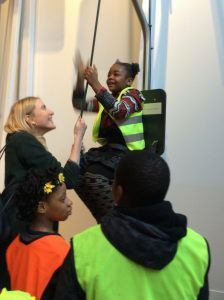 Many of the parents had such a good time that they stayed with their children at the end of the day to take them around other museums in the area. A huge thanks you to our teachers, Daisy, Vita and Ruth who led the children superbly, to Anna who guided the parent’s group and of course to our tireless volunteers whose commitment and passion never ceases to amaze me. This trip was only made possible by a generous British Science Week community grant from the British Science Association.